Keep smaller aircraft parts from falling out of the basket during the wash cycle. 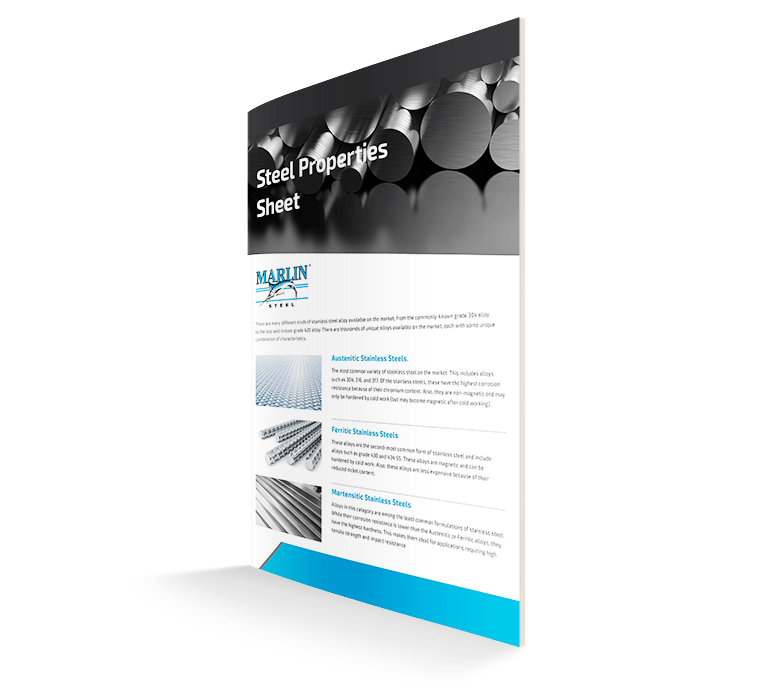 How did Marlin Steel make the perfect aircraft parts washing basket for this client’s needs? To minimize the risk of chemical corrosion from constant exposure to sodium hydroxide-based chemical cleaning agents, Marlin’s engineers decided to use stainless steel instead of regular steel for the frame, the sides, and the bottom of the basket. This would help prevent oxidation and corrosion from long-term chemical exposure. The major choice was whether to use Grade 304 stainless or Grade 316 stainless steel. 304 stainless is less costly than 316 SS, but 316 has better resistance to corrosion from sodium and other caustic materials. Normally, for a stainless steel mesh basket, the “mesh” is made of many individual stainless steel wires. However, for this particular job, the basket needed to be extraordinarily sturdy. This is because parts weighing up to 100 pounds would be randomly distributed throughout the basket. So, thin individual wires with lots of open space might not be able to withstand repeated impacts from heavy parts being loaded into the baskets. Yet, the baskets still needed copious air flow to ensure thorough washing and fast drying—which is why wire mesh is usually used for parts washing baskets. To ensure high tensile strength and plentiful air flow, Marlin’s engineers decided to use expanded metal for the sides of the basket rather than wire mesh. The expanded metal is a single piece of metal instead of a collection of separate wires. This gives the expanded metal mesh extra sturdiness compared to individual wires that are woven or welded together. Using expanded metal also reduced the total number of welding operations that were required for the stainless steel basket, since there were no individual wires to weld. Less welding means quicker manufacturing and fewer weak junctions susceptible to failure. Because the basket would hold up to 1,000 pounds of parts at a time, it needed to be designed for an automated carrying system rather than manual handling. To facilitate this, a set of hook hoists were added to the corners of the basket’s frame. The corners of the frame would provide the strongest connection point to ensure that the hoists would not pull free and make it easier to balance the basket during motion. 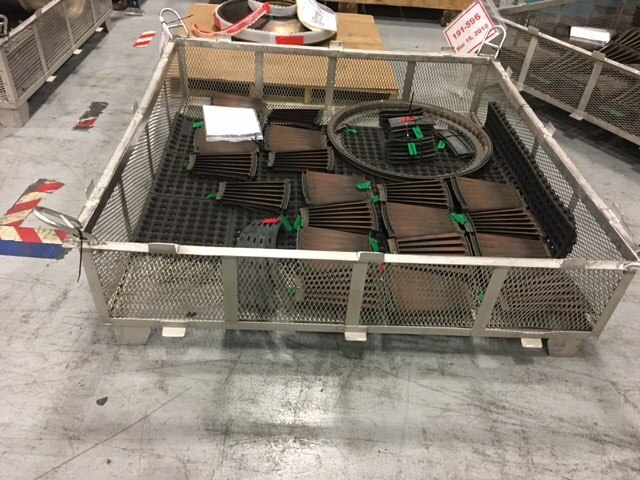 An unbalanced aircraft parts cleaning basket may tip and send parts tumbling to the factory floor—creating employee safety risks and potentially damaging parts. To accommodate the client’s smaller parts, a second set of baskets with flattened expanded metal mesh was designed. Flattened mesh has less open space between each strand of metal—preventing the smaller parts from falling out. The hook hoists for these baskets were designed differently as well, using smaller eye hooks instead of the large “U” shapes the other baskets employed. The different hook hoists helped to make the two baskets easy to distinguish at a glance—which was helpful for the client since the slight difference in the shape of the bonds and strands may be harder to identify without close inspection. After completing both basket designs, Marlin’s engineering team used finite element analysis (FEA) software to check for any potential flaws that would keep the baskets from performing at top efficiency. Only after the testing was completed (and the baskets could pass with flying colors) would the engineering team greenlight the baskets for assembly. The advantage of doing this with FEA software instead of a physical prototype was that iterating the design could be done multiple times in a day instead of taking weeks or months. So, Marlin was able to ship completed stainless steel mesh baskets in weeks instead of requiring several months for testing. Need a custom stainless steel parts washing basket engineered ASAP? Contact the experts of delivering “Quality, Engineered Quick®” at Marlin Steel.